Agios is guided by a deep-rooted commitment to researching treatment options that can make a meaningful difference in patients’ lives and fundamentally change the way rare genetic diseases are treated. for Agios' PK deficiency clinical program. The safety and efficacy of AG-348 has not been established. There is no guarantee that it will receive health authority approval or become commercially available in any country for the use being investigated. 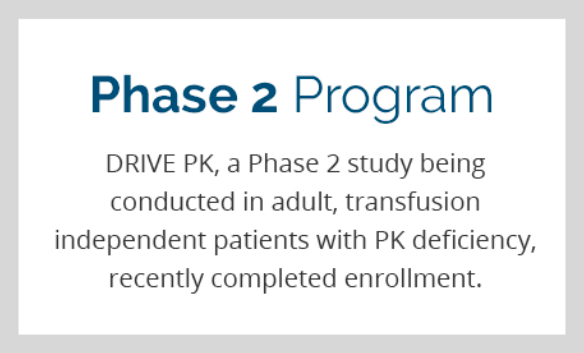 To learn more about these studies and other trials that may be available for people with PK deficiency, visit http://www.clinicaltrials.gov and search pyruvate kinase deficiency. Contact Agios Medical Affairs to learn about the Agios-sponsored clinical trials shown here.